Greetings! 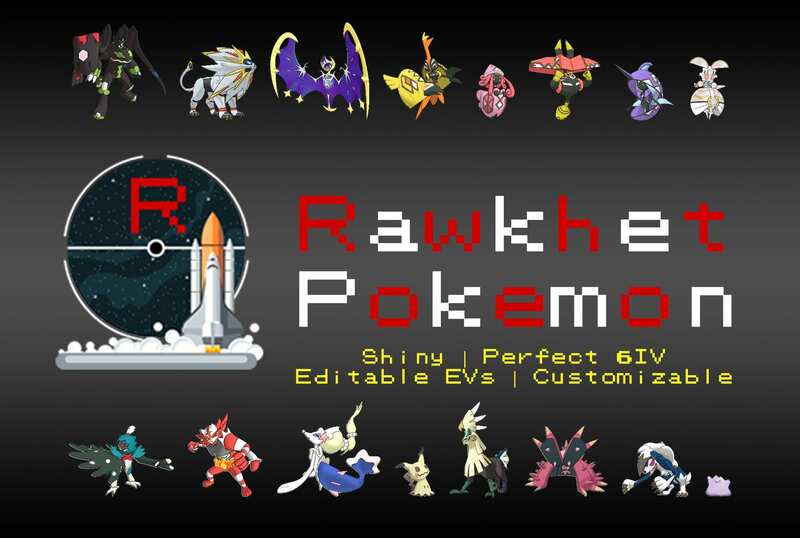 Welcome to Rawkhet Pokemon, where you’ll get the dream Pokemon you’ve always wanted. 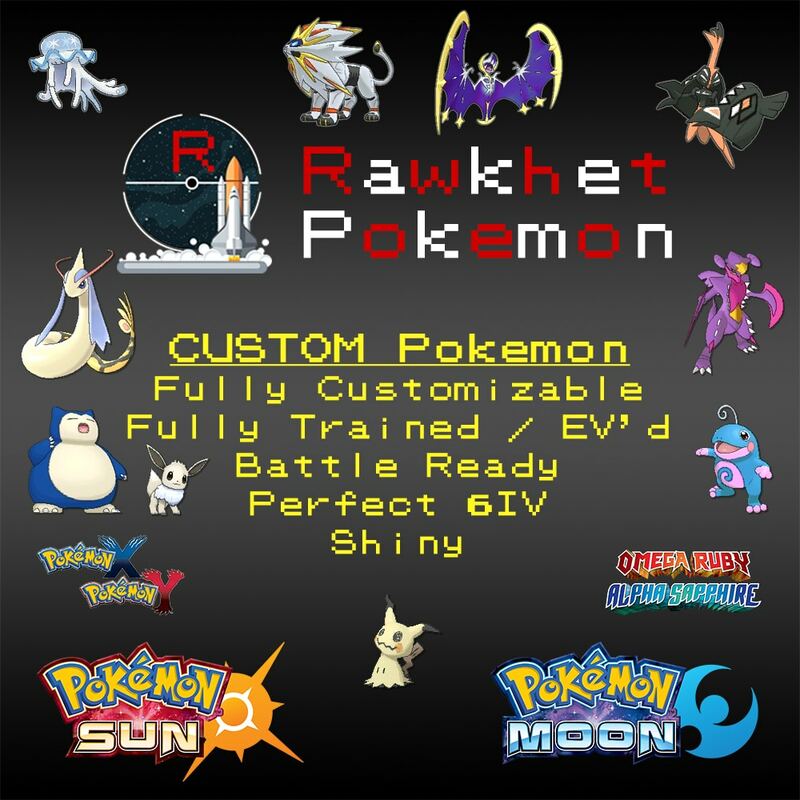 Buy crafted and customized Pokemon for all your needs. 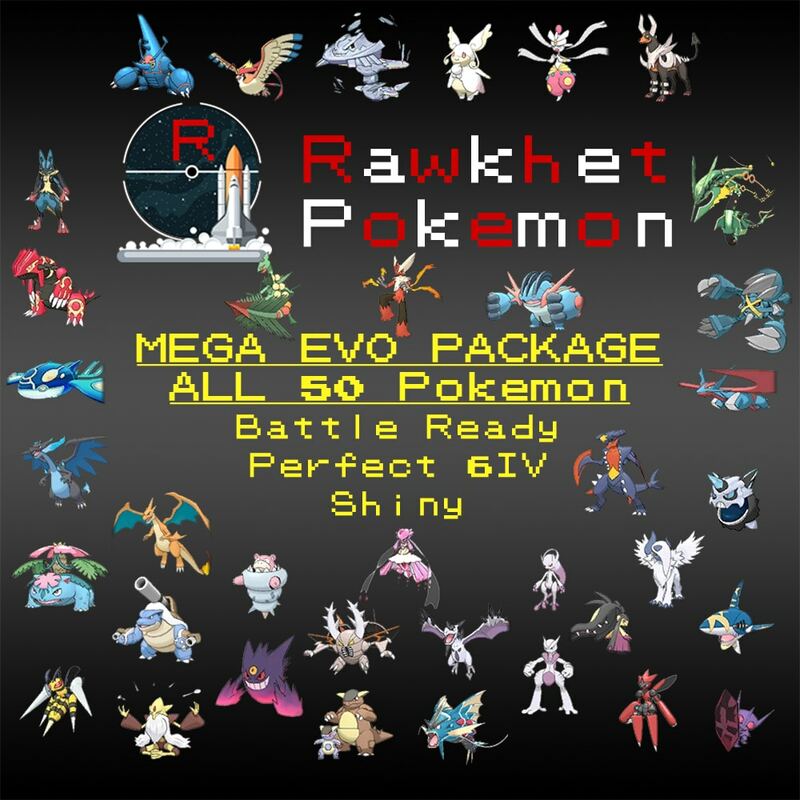 6IV Perfects, Shiny, Rares, Events and more! Available for Ultra/Sun/Moon (7th Gen) and XY/ORAS (6th Gen). Check out the Store page, if you can’t find what you’re looking for Contact me and I’ll see what I can do! 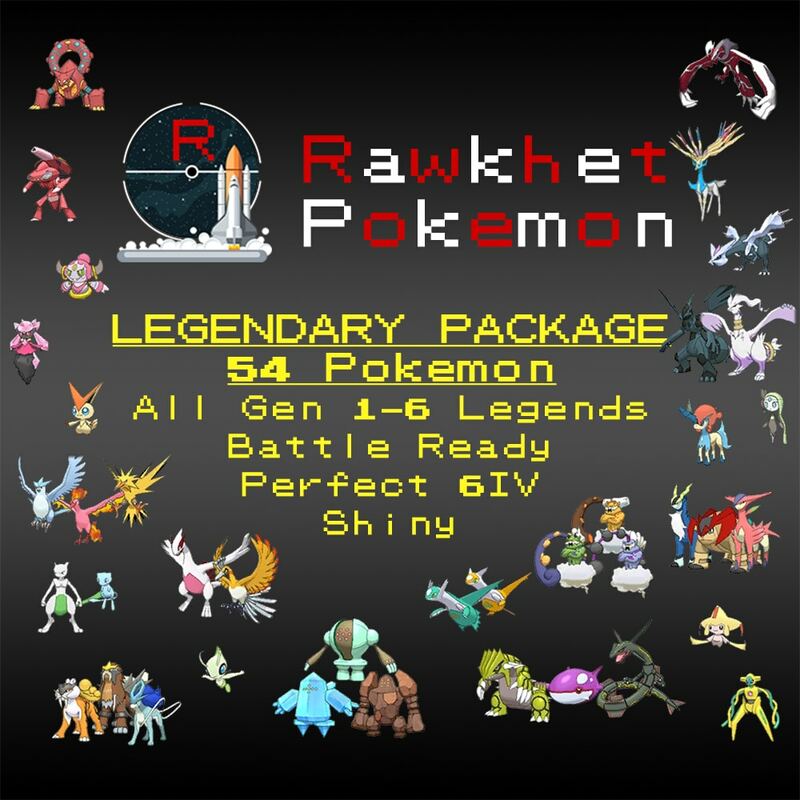 I had been selling Pokemon on multiple platforms such as eBay and Etsy but to give customers a better experience, Rawkhet Pokemon now has its own website and shop (set up December 2016). 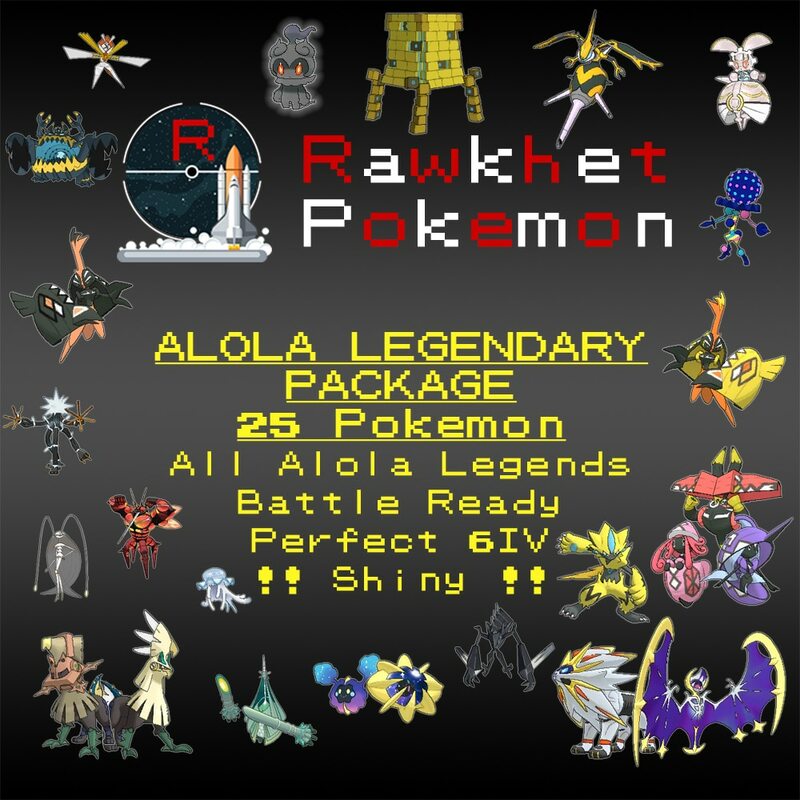 In total, this shop has traded more than 70000 Pokemon and racked up more than 500 written reviews across the platforms it sells on. I have always delivered promptly and strive to have great communication with my customers. For more information, check out the FAQ and the Trade Guide.